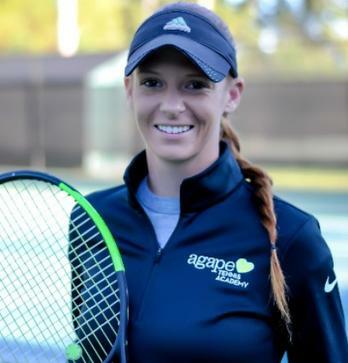 Amy is the founder of Agape Tennis Academy. She enjoys reading, writing, coaching, learning, helping others, speaking, traveling, tennis, golf, business, music, and spending time with loved ones. Annie Freeman is originally from Upstate New York, but she has lived in Atlanta since the age of five. She grew up playing at Brookfield Country Club in Roswell where she was a highly decorated junior player. She was Captain of the National Championship Team at Marist High School and attended Marquette University to study engineering. 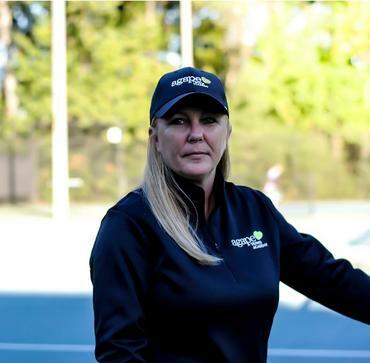 In addition to continuing to play tennis recreationally, Annie has worked in the tennis industry since 1996. 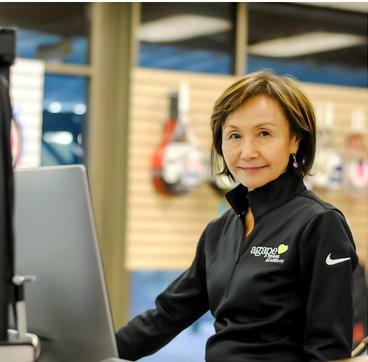 She was the pro shop manager at Berkley Hills Country Club where she gained valuable experience in managing all areas of tennis club operations, including stringing, pricing, accounting, branding, and marketing. Annie and her husband, Chris have been married for 10 years. They have a seven-year-old daughter Maddux and fur babies Moses, Shadow and Bowie. In her free time, Annie volunteers at the Atlanta Day Shelter for Women and Children. She also enjoys Atlanta sports, playing tennis, going to the beach and watching movies. Moses was born in New Delhi, India and came to the United States when he was three years old. Moses started playing tennis at the age of twelve and quickly became a highly ranked JR player in the state of Georgia and the Southeast. He was recognized as the Gatorade Tennis Player of the Year for Clayton County during his high school career. Moses earned a scholarship to play tennis at Piedmont College, where he was the number one singles and doubles players for three of his four years. He was the two time all conference player of the year for Piedmont College and won the conference championship in 2011. After graduating with a degree in Sports Marketing, he was the assistant Men’s and Women’s tennis coach at Piedmont college until 2015. He also completed his Masters in Business Administration during his tenure as assistant coach. In addition to tennis and business, Moses is also an actor who is represented by Privilege Talent Agency. He loves to workout, play all athletics, travel, nature, and hanging out with his Siberian husky. Oh, and his favorite tennis player is Roger Federer. 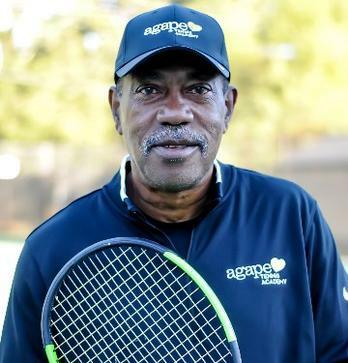 Quincy Jones is a professional tennis player, trainer, and coach who offers programs designed to help youth and adult players enhance both physical activity and personal performance. 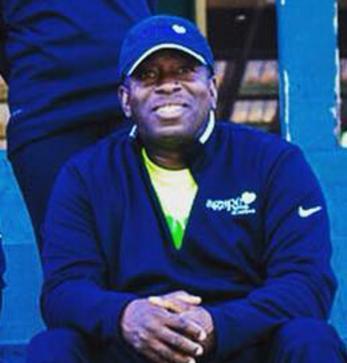 He has been recognized for creating The Adult Academy, a tennis training program he developed during his time as Director of Adult Programming for Silvia Tennis Academy. Quincy helped adult players benefit from the academy style training utilized by national junior competitors throughout the United States. Quincy has also coached youth of all ability levels. He ran an elite high school program at Silvia Tennis Academy before joining the Agape Tennis Academy team. In addition to teaching tennis, Quincy is driven by a passion to continually meet the needs of community members in a bigger and broader way. He is Chief Executive Officer of Beats the Streets U.S. Since 2016, BTS and its members have served more than 250 people through job placement/development programs and its ‘Homeless and Hungry’ initiative. Quincy is also a writer, musician and an experienced Leadership and Personal Development Specialist: helping individuals and companies establish a foundation of clear purpose and self-worth; enhanced personal growth, development, and life skills. . He has written numerous articles on topics ranging from ‘The Perfect Service Rhythm,’ to ‘Money Middle Doubles. He authored the official Cardio Tennis theme song, which has been featured on international platforms since its iTunes release in 2015. Joe is a PTR Certified teaching professional with over 25 years of experience. 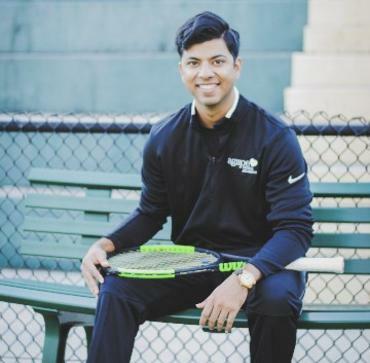 During his tennis journey, he has had the opportunity to play at a high level as a junior and young adult in various tennis tournaments throughout the country. As a teaching professional, he has been fortunate enough to be able to work with toddlers, juniors, young adults, adults, and Olympians! He is very proud of the fact that he has been able to help juniors achieve their dreams of earning tennis scholarships. He also takes great joy in seeing his adult teams improve every season and ultimately compete in the City Championships. He loves working with USTA, ALTA, and junior teams of all levels, bringing all of the personalities of the players on the court together for one purpose, TEAM! 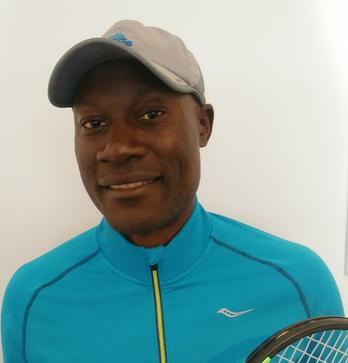 He has extensive experience in running cardio tennis, men’s drills, beginner ladies, tournaments, and fun socials as well. Besides being a tennis professional, Joe is also a chef and traveler. He is an adventurous, energetic, kind, and creative person. The tennis courts are his home and coaching brings him the greatest joy of all! Ken is originally from Charleston, SC and has lived in Atlanta for the past 10 years. He started playing tennis at age 13 while attending Rivers High School and fell in love with game from the moment he picked up a racket and has been playing ever since! Ken is a PTR certified professional and has with 35 years of coaching experience. He has competed in many high level tournaments throughout the southeast. Ken has worked with players of all ages and skill sets. 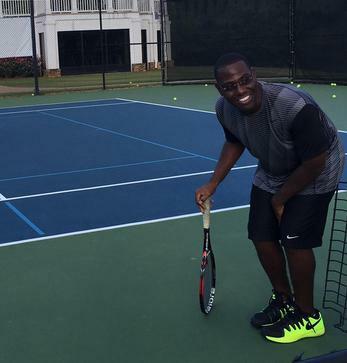 He has been a teaching professional for the City of Charleston, a Head Professional at Judy Alvarez Club Tennis in Tampa, Florida, McGhee Tennis Center in Atlanta and most recently, Director of adult programming at Windy Hill Athletic Club in Atlanta. Ken’s hobbies are reading, cooking, and listening to jazz. Nela is a graduate of the University of North Georgia where she played four years of college tennis and majored in Exercise Science. 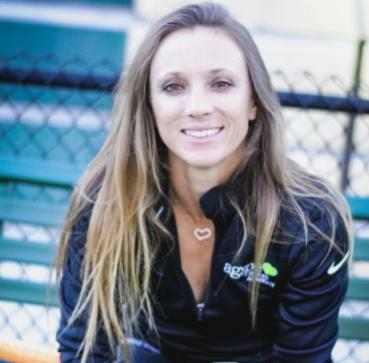 Her passion for health, fitness, nutrition, and overall wellness is the basis for her life and she hopes to bring this knowledge to the world using tennis as her vehicle. Nela was born in the city of Mostar in Bosnia, and she came to the United States with her family at the young age of two years old. Growing up in Buford, GA, Nela started tennis at the age of eight. At this age, her family had moved into a new house that had tennis courts in the neighborhood, and she quickly begged her dad to buy racquets so that they could try out the sport for fun. From that moment forward, Nela was hooked. Being the first person in her family to play tennis, Nela became very passionate about the sport and became deeply inspired by the fact that it is such an individual sport in which you can create your own destiny. Nela continued to play for her team at Mill Creek High School in her hometown, where she broke all school doubles records. She went on to play a vital role in both doubles and singles all four years of her college career at UNG, and led her team as captain to break the record for most season wins her senior year. In addition to her knowledge of tennis, Nela has experience in the world of wellness, as she was an intern at Children’s Healthcare of Atlanta where she worked in Employee and Child wellness, teaching exercise and nutrition classes and creating health programming for clients of all ages and fitness levels. In addition to her knowledge of tennis, Nela has experience in the world of wellness, as she was an intern at Children’s Healthcare of Atlanta where she worked in Employee and Child wellness, teaching exercise and nutrition classes and creating health programming for clients of all ages and fitness levels. Nela was also an assistant student strength trainer in her college athletic facility at UNG, and gained experience in leading athletes from all different sports in personalized workouts. Off the court, Nela loves traveling, reading books, enjoying music, and experimenting in the kitchen. Her passion to lead a cultured, healthy, happy, and full life leads her in everything she does and has helped to build her desire to lead others. Nela believes that helping improve lives is woven into the small details, and she hopes to do so through the world of tennis. As it has molded her, she hopes that it so positively molds the people around her. Maria is originally from Cali, Colombia and came to United States to play collegiate tennis for Young Harris College. As a junior player, she was ranked in the top 10 in the nation in the 16 and under division and top 20 in the nation in the 18 and under division. Maria played in professional tournaments, including throughout South America before playing college tennis. 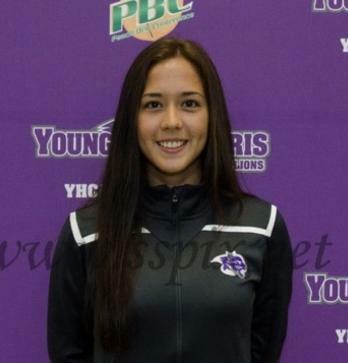 While at Young Harris College Maria won a total of 69 singles matches. She holds the record for the most number of singles matches won in the history of Young Harris College. Maria graduated with a degree in Chemistry and a minor in Physics. Maria has worked as a tennis instructor for Windward Lake Tennis Club in Alpharetta, Georgia. While at Windward Lake Club, Maria worked with a variety of children and adults. She has experience with high performance, intermediate, and beginner level junior players. Maria also worked with numerous ALTA and USTA adult teams, as well as teaching all levels of classes and drills to adult players. Additionally, Maria has worked summer camps in various places across the country helping develop her into a well-rounded, experienced, and knowledgeable coach. In addition to tennis, Maria is an intern for a cardiovascular research lab at Emory University. She enjoys reading, traveling, and doing outdoor activities. Simon is a PTR Certified Professional and a former professional player. Simon moved from France to the United States and had the privilege to be coached by the tennis coach legend Nick Bollettieri at the Bollettieri Tennis Academy in Bradenton, Florida. While competing in France, Simon won the Paris Saint-Germain Junior Open and competed in the Roland Garros Junior Tennis Tournament. Simon attended Georgia State University on a tennis scholarship and participated in several professional tournaments in the United States including the Legg Mason Pro-Tournament in Washington D.C.
Simon also attended Kennesaw State University and earned a degree in Accounting with honors while doing community service around the Atlanta metropolitan area to teach young student-athletes the importance of education. Simon trained several City Finals ALTA and USTA Junior and Adult Teams and taught private and group lessons to students of all levels for over 12 years. He enjoys teaching tennis to juniors and adults at all levels and his greatest passion is helping students reaching their tennis goals. In 2015, Simon and his wife welcomed the birth of their son Oliver. During his free time, Simon likes playing tennis, golf, soccer and spending time with family. In addition to English, Simon is fluent in French and speaks conversational Spanish. Originally from Dublin Ireland, Ciara represented her home country from 2000-2007 as part of the National Tennis Team. She was ranked No. 1 in Ireland in under-16 and under-18 during that time. She has traveled extensively throughout Europe playing competitive tennis before coming to the United States to play collegiate tennis. Ciara played two seasons for Georgia Southern University. During that time, she was the number 1 player on the team in both singles and doubles (where she partnered with Amy Pazahanick). She then transferred to Ohio State University where she had a successful collegiate career. She assisted the team from a ranking just outside the top 75 to a top 20 ranked team in the nation. She graduated in June of 2008 with a degree in Sociology and a minor in Communication. While finishing up her degree, Ciara served as an assistant coach. 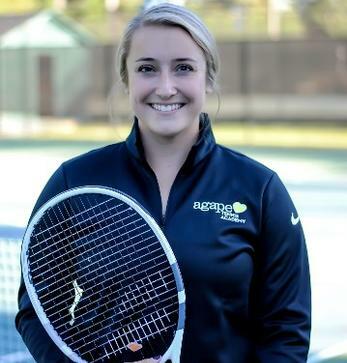 After graduating, Ciara served as a tennis instructor at the Hurricane Tennis Academy in Sarasota, FL, as well as The Colony Beach and Tennis Resort in Longboat Key where she coached adults and juniors. In addition to coaching, she has helped run a highly successful challenger tournament in Sarasota for the past nine years. Some previous winners of this tournament include Jesse Levine, James Blake, Kei Nishikori, Sam Querrey, and Nick Kyrgios. After coaching in two different clubs, Ciara then went into college coaching. She spent two years running the women’s collegiate program at Case Western Reserve University before moving on to be the assistant at the University of Pennsylvania. In her first season at Penn, she helped coach the Ivy League Rookie of the Year. The women’s tennis team had two players earn All-Ivy accolades in singles and doubles. The Quakers also defeated nationally-ranked Harvard which was Penn’s first win over a ranked team since the 2008 season. Over the past couple of years, Ciara has been teaching adults and juniors of all levels at the YMCA of Buckhead. Ciara was heavily involved with the adult and junior program as well as the junior enrichment programs and summer camps. Born and raised in Singapore, Judy has lived and traveled extensively in Asia including Japan. While she still considers herself truly Asian, Judy has made Atlanta her home since 2010. Judy’s interest in tennis began when she was bringing and accompanying her daughter to play in countless ITF junior tournaments. When her daughter became eligible to play on the University of Washington tennis team, time became available to Judy to play and improve her own tennis as an enthusiastic adult player. In Atlanta, Judy played on several ALTA and USTA teams. She was Division Winner of A7 (2016), A1 55+ (2017) and T2 3.5+ Doubles (2017). Judy makes conscious effort to live a fit, active and healthy lifestyle. When she is not on the tennis court, she practices mindful hatha yoga in the traditional way. Judy also likes climbing Stone Mountain and walking the trails as well as hitting the gym for strength training. Naturally, she supports her fit lifestyle by eating healthy: going to restaurants which serve food that are “from farm to table”, and her own simple yet nutritious and delicious east-meets-west cooking and baking. Judy enjoys meeting people. So please stop by Agape Tennis Academy @ Dekalb Tennis Center to say hi.